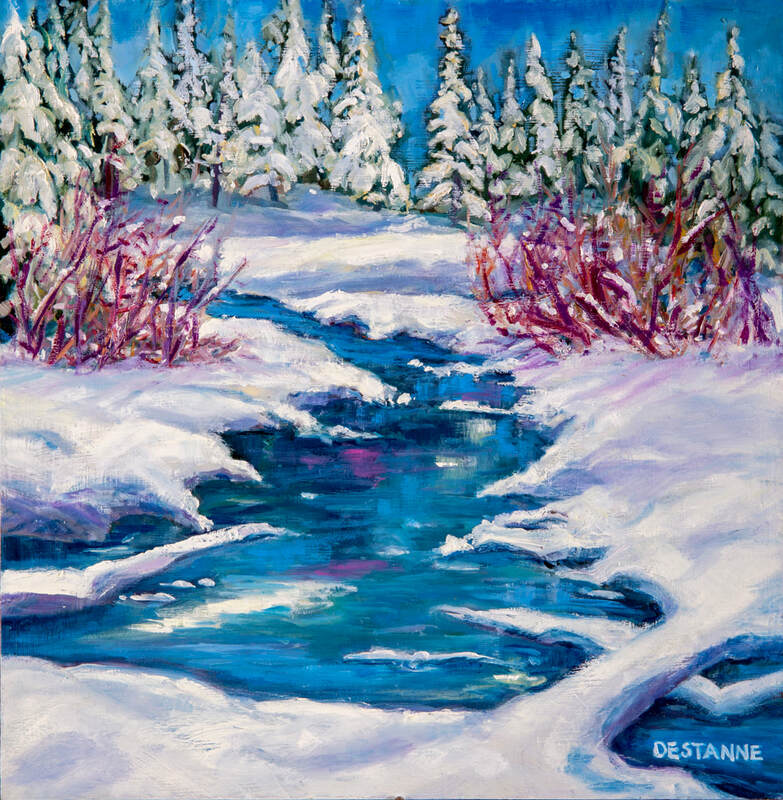 Destanne was awarded a BFA (Honours) Degree in Painting and Drawing from the University of Victoria in British Columbia in 1987 and a Master of Fine Art Degree by Research at the University of Tasmania in Hobart, Tasmania, Australia in 2009. 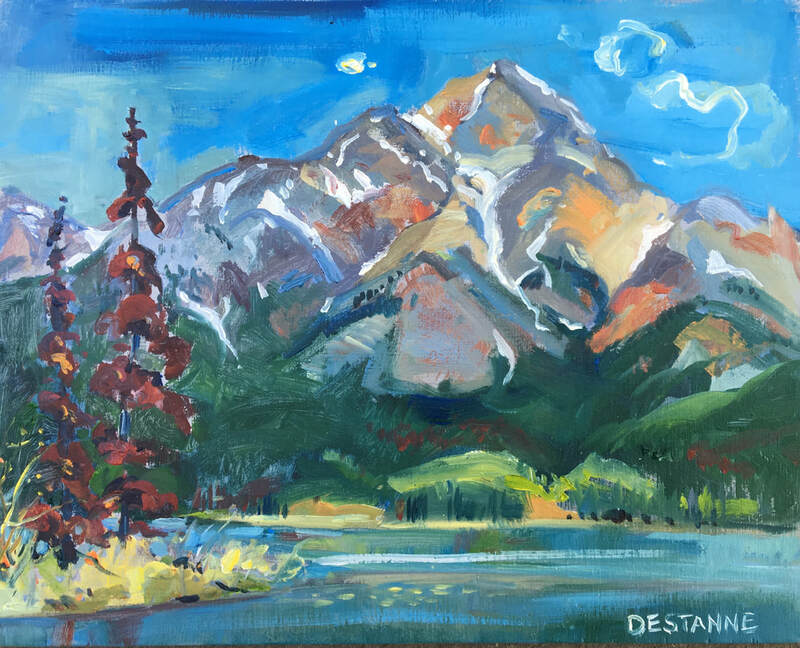 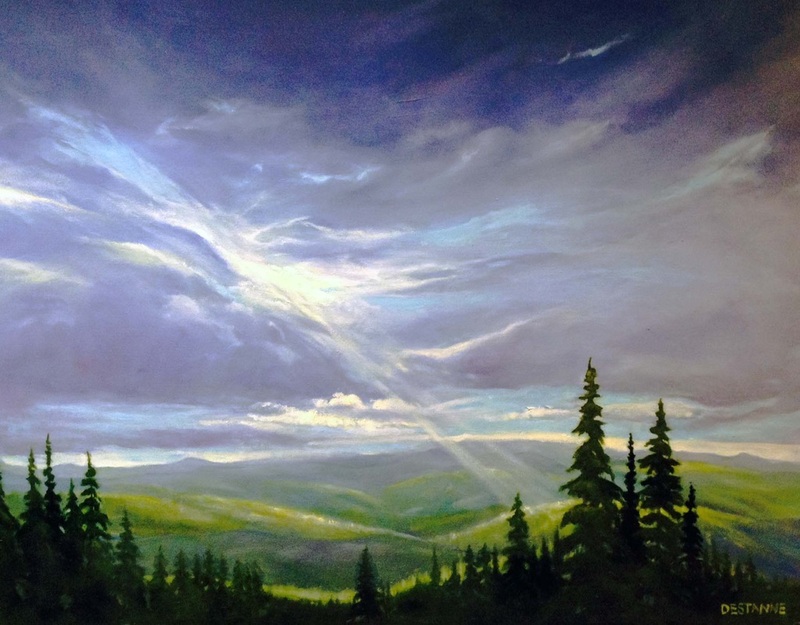 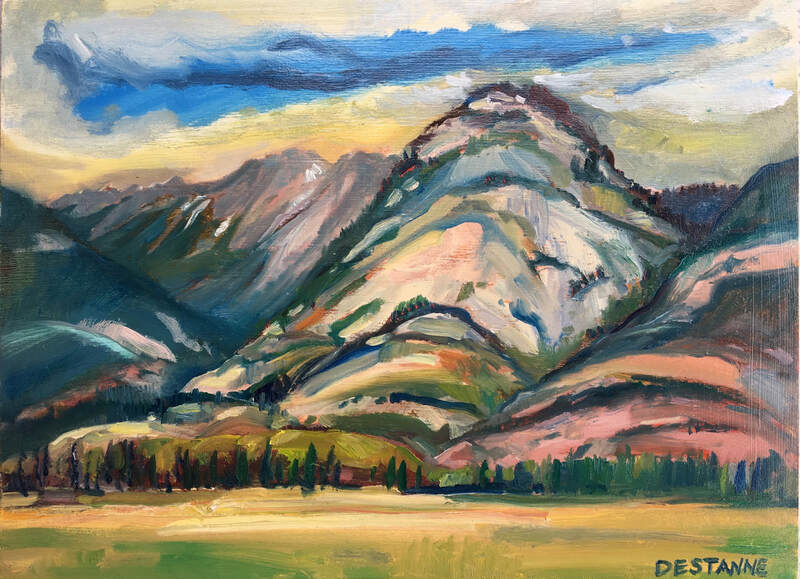 Primarily, a landscape-based oil painter, Destanne’s professional art career was established while she lived and painted in the Rocky Mountains in Jasper, Alberta. 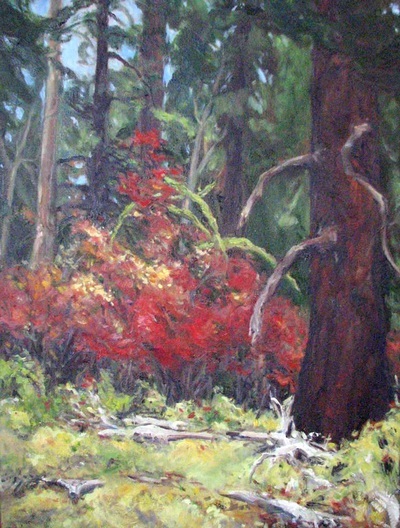 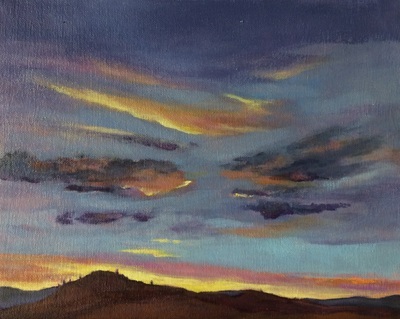 Primarily an oil painter of landscapes, her practice and work was based upon her direct experiences in nature while on adventures into wilderness and natural environment areas. 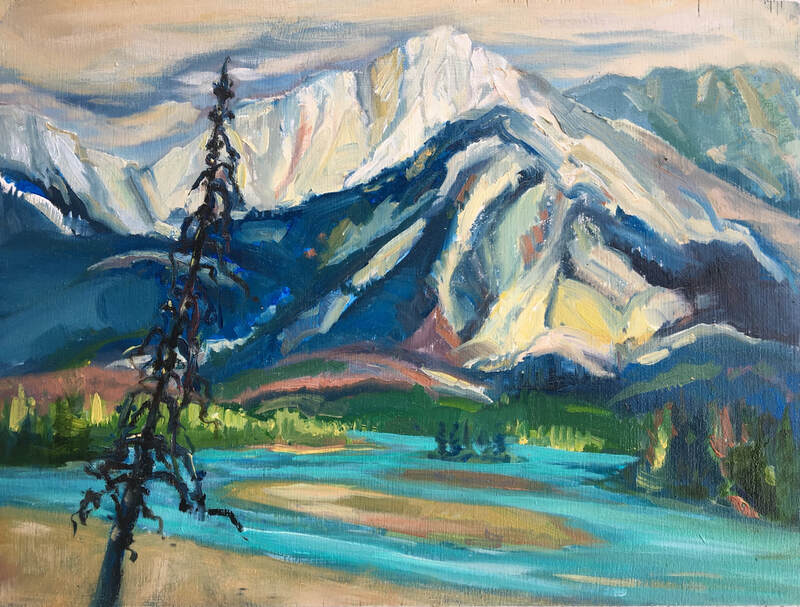 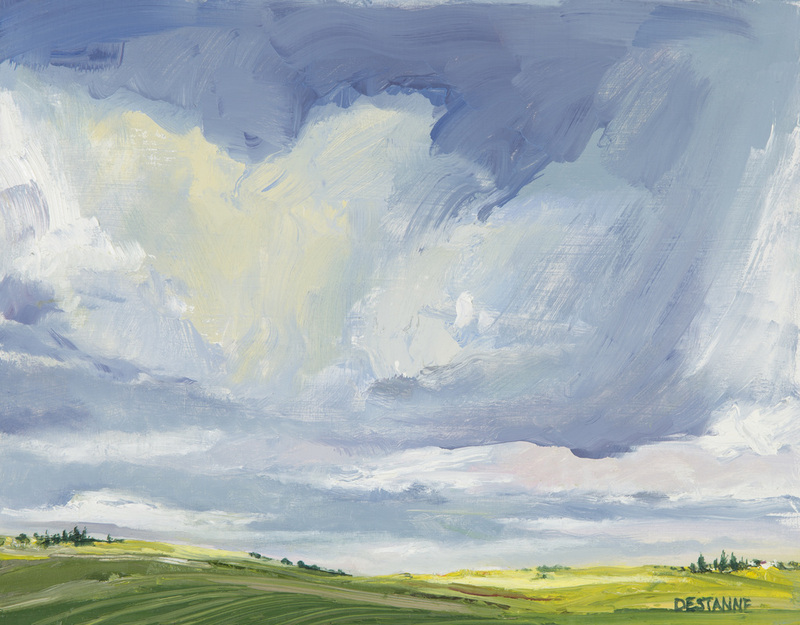 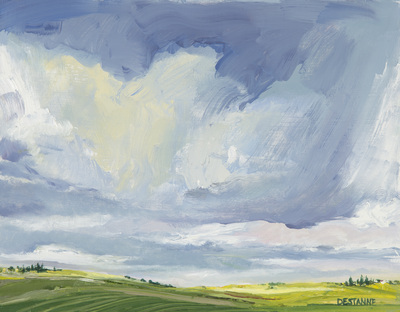 She was inspired by and very fortunate to have met, and taken a workshop by Doris McCarthy, one of Canada’s highly regarded landscape painters, as well as David Alexander. 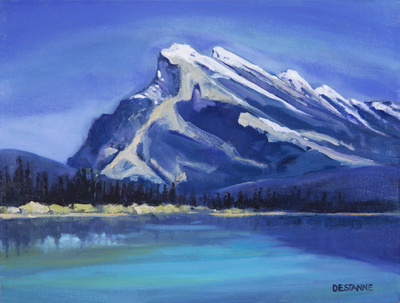 However, Destanne’s love of a challenge and the journey led her to leave the Rocky Mountains in 2003 to pursue post-graduate research at the University of Tasmania in Australia. One of the four strengths of the University is Wilderness and Natural Environment Studies, where a strong link and concentration exists in the University of Tasmania School of Art. 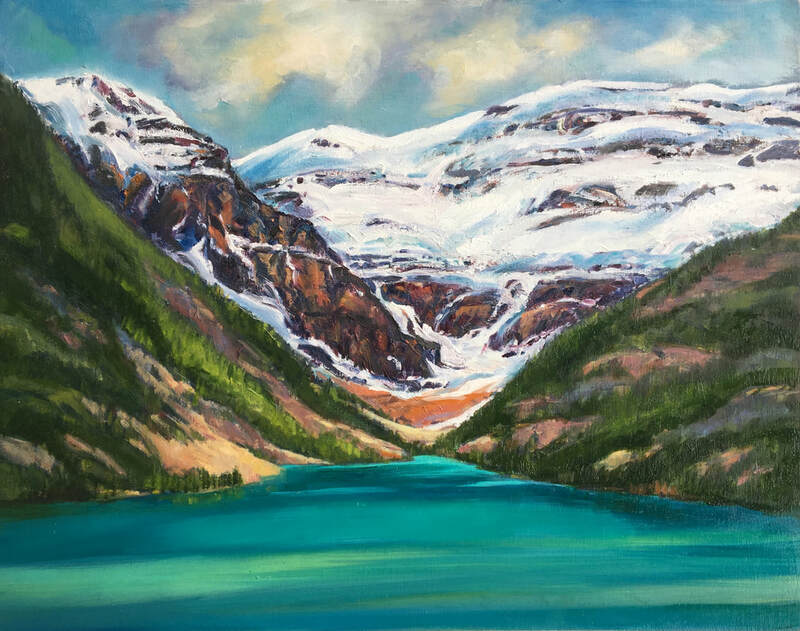 Painted Pools: A Lens into Subjectivity is the title of her research MFA thesis that is an investigation into water as a metaphor for life. 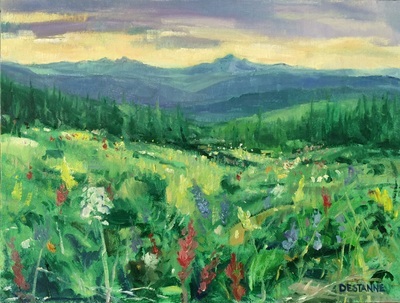 While her sojourn overseas to pursue post-graduate studies was invaluable, it was the call of ‘home’ that brought Destanne back to live in the Okanagan in 2006. 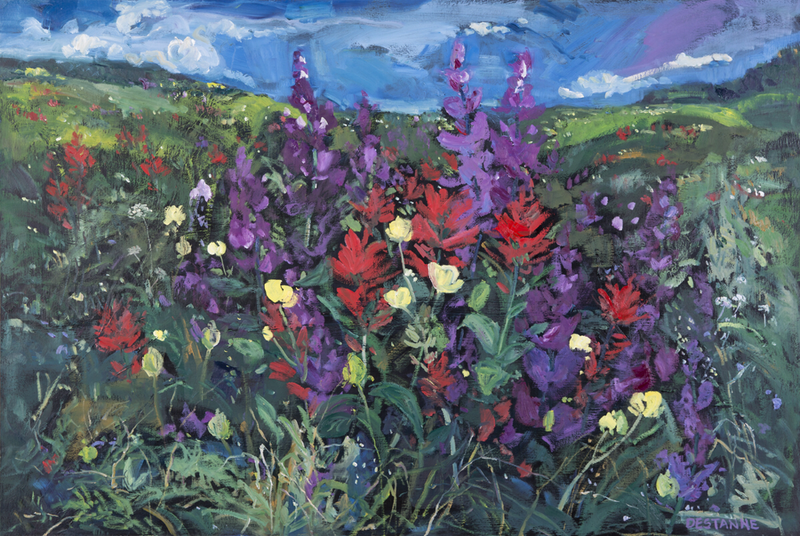 Currently she lives on Silver Star Mountain and paints in her studio at the Caetani Cultural Centre in Vernon. 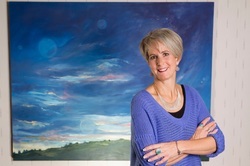 Landscape and place, metaphor and symbol, embodiment and Romanticism are her research interests. An overarching theme in her landscape painting is the mirroring of ‘inscape and landscape’. 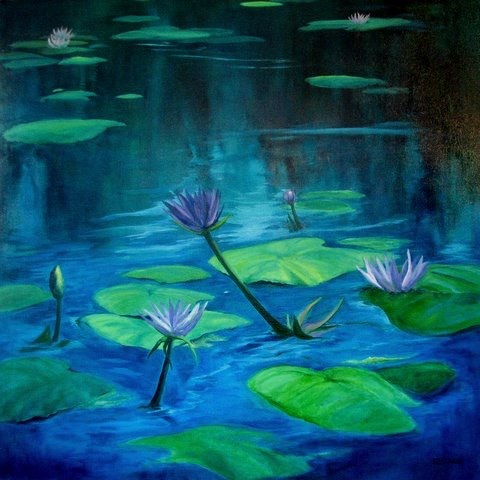 Destanne’s paintings have been exhibited internationally and nationally in Public, University, Artist-Run and Commercial Galleries. 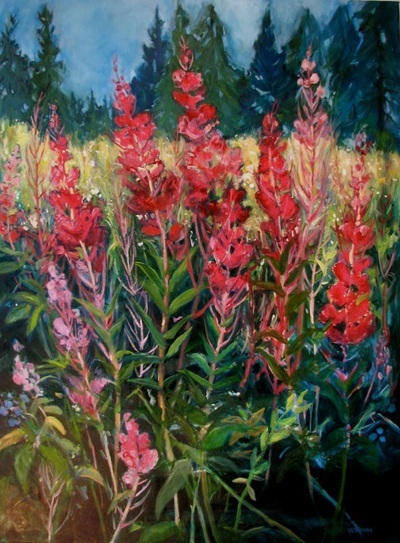 She has participated in numerous group and solo exhibitions in both public and commercial galleries, in addition to various special projects; and her paintings have been purchased by many international private collectors and found in corporate and public collections: the Alberta Foundation for the Arts, the Penticton Art Gallery, Jasper National Park, the Consulate General Japan, Fining Canada to name a few. 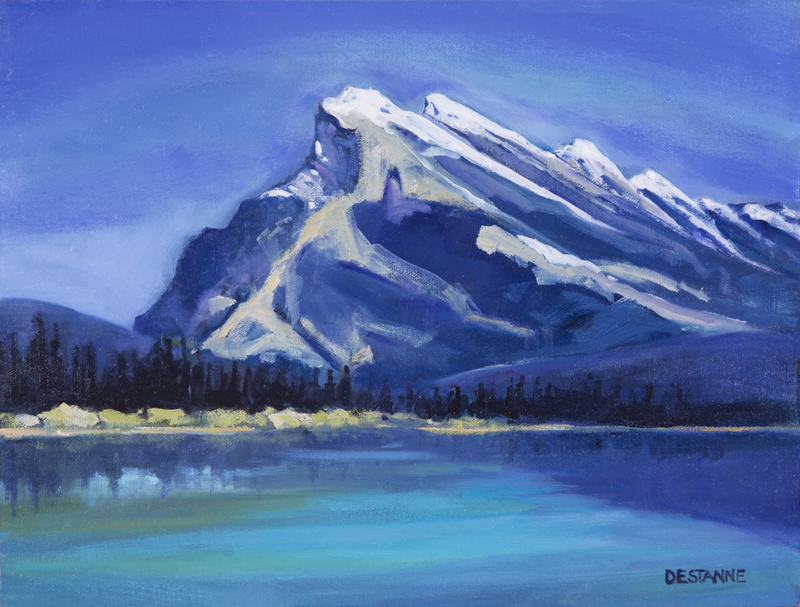 In July 2017 Destanne will be having an exhibition of new work in the Caroline Galbraith Gallery at the Vernon Public Art Gallery. ​She is represented by Gallery Odin, Silver Star Mountain, BC and Mountain Galleries at The Fairmount in Whistler, BC and Jasper/Banff, AB.